Graciela was an excellent guide and companion for the trip. She readjusted the tour to avoid crowds and utilize the changing weather in the various locations. Her hotel and restaurant recommendations were excellent. She provided excellent hiking opportunities. Her knowledge of the area, history, geology and biology was excellent. Strongly recommended. Graciela is truly remarkable, both as a tour guide and as an essential helper when we ran into medical problems in Salta, Argentina. She went above and beyond the call of duty to help us translate and explain our medical problems to the doctors and nurses. She is an extraordinary person and so sincerely helpful and conscientious. Plus, she knows the area near Salta like the back of her hand and is eager to share her love and enthusiasm with others. She is a treasure and will make your trip extraordinary! Great guide, very knowledgeable, helpful, flexible, energetic, willing to go the extra mile and hard working. Exciting itinerary, could not wish much more to see in Northern Argentina. Our day tour with Graciela was superb! She knows so much about the land, people, history and shares information freely with enthusiasm and genuine interest. She answered our many questions about a wide array of topics. Graciela shaped the tour around our interests and happily walked further with my son who wanted to explore one gorge more deeply. She will stop the car anytime and truly let us shape what we wanted to do. She also led us to great food and snacks along the way. Highest recommendation!! Thank you Graciela! 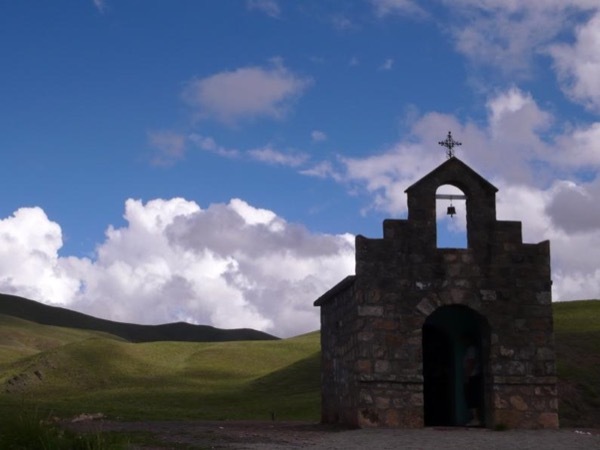 We never knew the area of Salta had so much to offer. It was a wonderful trip, we tasted some great wines and were stunned about the beautiful views! A day of travelling and seeing so much. We had opportunities to stop and look at views and walk through small settlements and eating empanadas in a local restaurant. Graciela is very knowledgeable and answered all our questions. Thanks Graciela for an amazing day seeing rainforests and stunning scenery, travelling North and the amazing mountains in Purmamarca and Humahuaca. Memories made, never to be forgotten. We have seen so much and touched on a whole new world. A wonderful day. Thanks again. Our guide Graciela was a gem! Exactly what you want from a private guide experience. Top notch! We enjoyed Graciela's company every day. Very helpful to have a driver as she knows exactly where to go and led us to hidden spots. Very glad we took the tour with her in this stunning countryside. Highly recommended! Graciela was welcoming, informative, well-prepared and we enjoyed our 3 days with her a lot. She helped us book the right hotels in advance and kept us informed of options as they arose. If you can figure out how to arrange it, however, I suggest 2 nights at Colome as we got there pretty late, just in time for a rushed wine tasting and gallery visit, then dinner. The hotel and winery is fantastic. and I am sure there are wineries nearby where you could spend a few enjoyable hours tasting or touring. 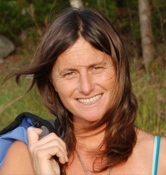 Graciela is an easy going person and an extremely knowledgeable guide. She explained to us lots of things related to the places where she drove us, from history to geography, local economy and society. Stopped patiently whenever we wanted to take pictures - our hobby. Thanks a lot Graciela for this experience, you are the best! She was a wonderful guide . My wife and I wanted to do some walking and hiking in the region and she readily agreed. Very informative and friendly and well traveled herself. She speaks English well. Great with the history of the region and went out of her way to be sure we had an excellent experience. I warmly recommend her without any reservation. Excellent tour and guide. She was on time for the pick-up and hit the itinerary as promised. Very flexible throughout based on our preferences. Would definitely recommend! Graciela is a great guide, knows a lot. Very friendly. She is very organised. She was in time to fetch us from the hotel. Her english is exellent. GREAT GUIDE!!!!!!!!!!!!!!!!!!! We hade a super nice day with her. It was an awesome experience. We had an amazing time in Salta and all because of Graciela. She is a very knowledgeable guide and a beautiful person. We had such an amazing time with her that at the end of the day we became friends. Thank you Graciela. The tour that Graciela put together was fantastic. We had a great time with my partner with constant stops for photographs at key spots. Graciela has deep connections with the area and is passionate about her role as a guide. We were very happy with our experience of tour with full credit to Graciela. The tour was perfect with Graziela. She speaks perfect English and explained very well what we have to know about the regions. It was a wonderful trip with her as she is easygoing, professional and open-minded. She was on time every day and the rhythm of the visit was very well organized. We got along very well and was extremely happy with her. We highly recommend her for this tour. Graciela is an exceptional guide. Her broad range of knowledge in all aspects of the area we visited was astounding. She quickly established a rapport to determine our interests and our own depth of knowledge. She perfectly tailored the itinerary to suit us and was completely flexible in staying longer or explaining in more detail what we were interested in. Just as importantly Graciela is fun to be with. Her extensive personal travels and education have made her exceptional as both a guide and person.